PRE-ORDER DRAG ME OUT 'PRESSURE' ON CD / VINYL! Music provides the ultimate release. A song can pull emotions out, lay them bare, and offer relief better than any medicine. Drag Me Out sound a clarion call to let go, scream aloud, and feel alive again. 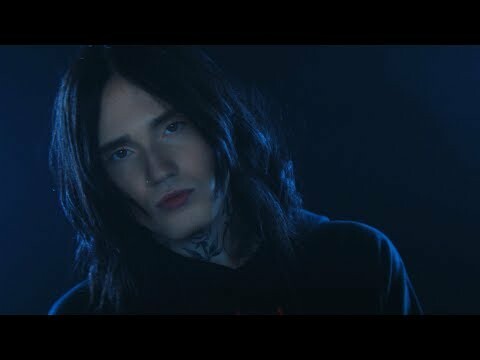 The European alternative metal quartet—Denis Stoff [vocals], Stas Belove [guitar], Easy Target [bass], and Chris Nokia [drums]—brave often insurmountable circumstances in order to deliver such catharsis on their 2019 full-length debut, Pressure[Sumerian Records]. They arrive at just the right time to make a difference too. Denis reached out to longtime friends Belov, Easy Target, and Nokia to jam. Together, they formed Drag Me Out in 2018. They self-produced the eleven tracks that would comprise Pressure. Lyrically, Stoff drew on the disintegration of a long-term relationship, the struggles of his family in war-torn Ukraine, otherworldly, ghostly themes, and “deep feelings, magic, miraculous, paranormal, and unusual subjects,”as he says. Musically, the record unlocked a sound that bordered on hard-hitting metal, haunting electronic music, and rock energy introduced by the single “I’m Sorry.” Right out of the gate, it clocked over 1 million cumulative on-demand streams and heralded Drag Me Out as a force. Pressure’s follow-up single “A Reason Ahead of You” upped the ante yet again. Merging metallic punch and melodic appeal, the song speaks to a pervasive theme hinted at by the album title itself. In the end, Drag Me Out give listeners everywhere a much-needed and long-lasting release.